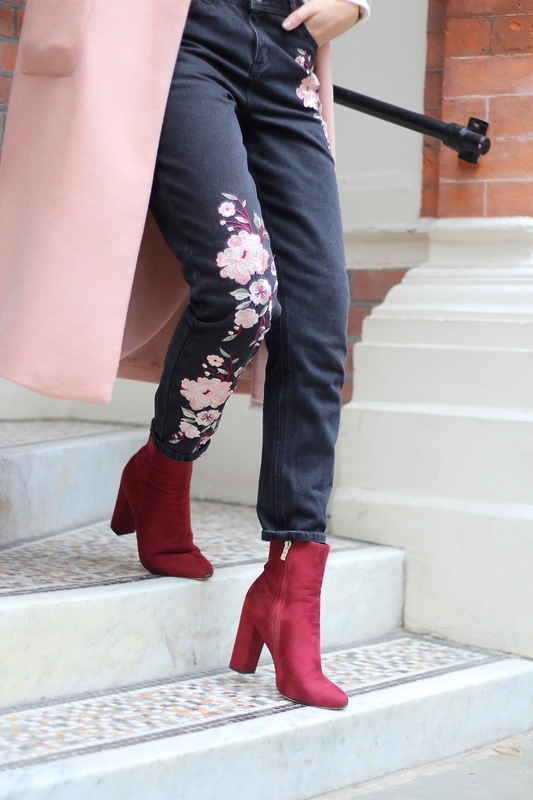 Do Heavily Embroidered Jeans Really Work? Now you know it really is true when I say I take off my glasses to shoot photos, it's actually really annoying how visible they are through my coat pocket haha! But hopefully you can get over that and it won't be too much of an issue (I bet it will be one of those things where you hadn't even noticed it until I went ahead and pointed it out). I wanted to focus on these jeans today, they've definitely made an appearance over on my YouTube channel in my How To Style Embroidery video but I'm not quite sure whether or not I've photographed them on the blog before - it all quickly becomes a blur when you spend any free time you have shooting a ton of content - but re-wearing something is no crime, if anything, here's another way to style them! Embroidery has been quite a big trend, although I do think it's starting to die down a little now which makes me question whether or not buying into something so obviously trend-led is a good thing or not, but I won't delve into that too much, if you're interested in reading a little more on my thoughts on buying on-trend pieces you can check out this post. 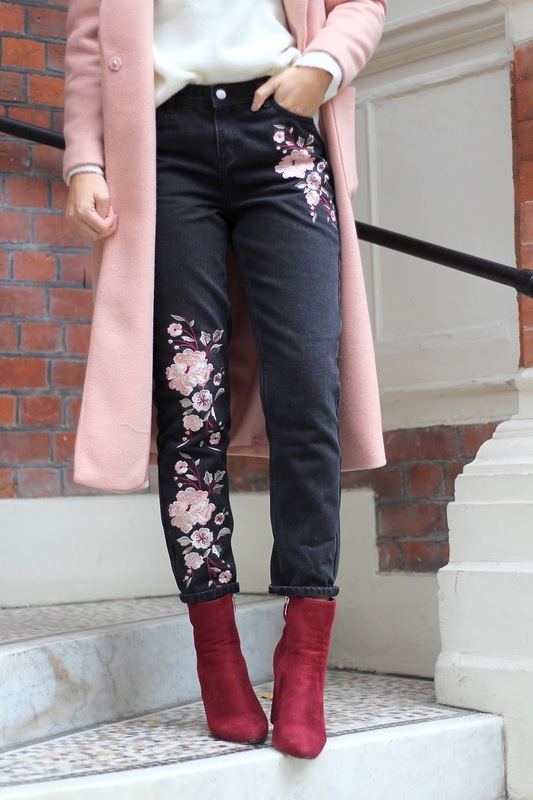 I want to talk about practicality and wear; these jeans look incredible in my opinion, they're definitely eye-catching but that can often make pieces harder to style. However, I haven't had any trouble with these surprisingly enough. I find these make me more daring with my outfit choices - I mean, can we take a moment to appreciate just how much colour there is in this outfit?! 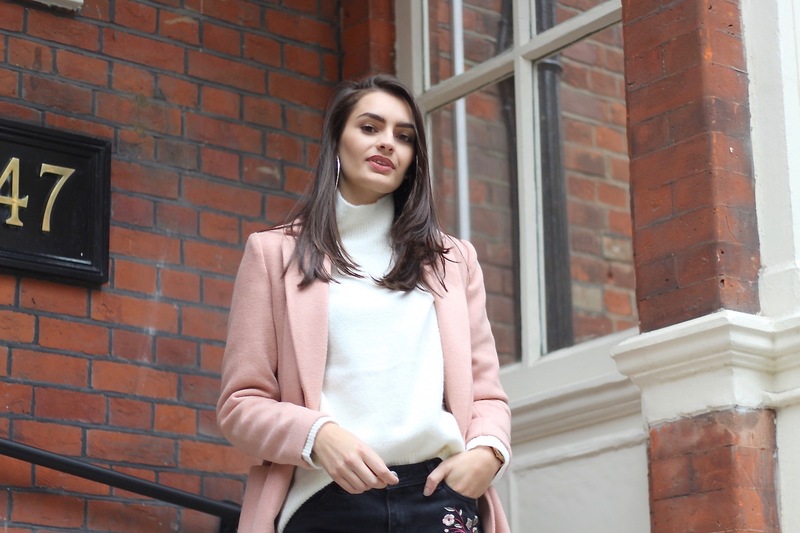 If you struggle to add colour to your outfits then look no further, I think when wearing embroidery there is always a lot of intricate colours going on and they make me want to mix and match pieces in my wardrobe to create a fitting look. 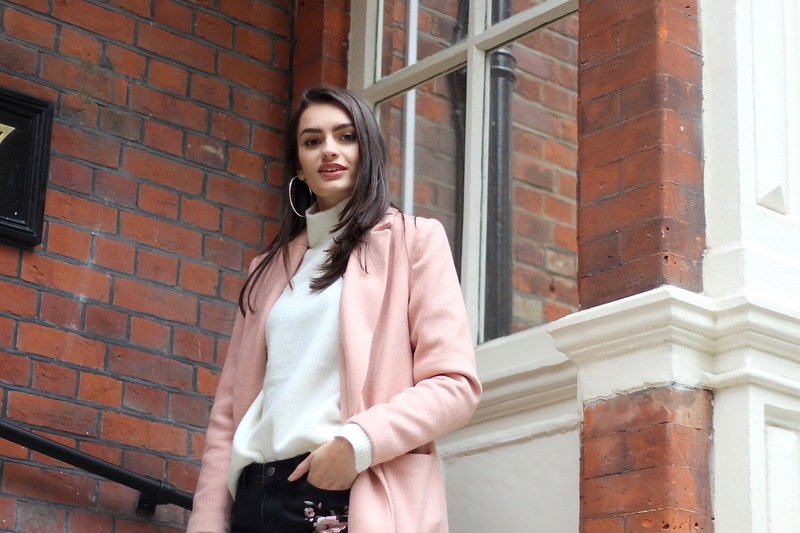 In this case, I went for a roll neck jumper (because some things just never change), a blush pink coat and burgundy boots so really going all out with the colours. I live embroidered jeans yet I don't actually own a pair! I'd buy these ones if they weren't shaped like mom jeans. I'd prefer them to be skinny jeans as I'd get more wear out of them. Love how you've styled them!